Dr. Laurence C. Breiterman has joined the ranks of only one percent of dental professionals qualified to perform the Laser Assisted New Attachment Procedure, a form of laser gum surgery for gum disease treatment. This revolutionary protocol allows the dentist a less invasive method for treating periodontal disease, and LANAP is cleared by the FDA. 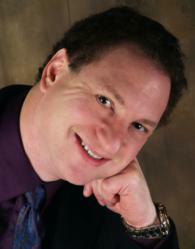 Dr. Laurence C. Breiterman is now treating gum disease with a new, laser surgery. Laurence C. Breiterman, D.M.D., M.A.G.D., with Advanced Dental Techniques, now utilizes the Laser Assisted New Attachment Procedure for gum disease treatment. LANAP doesn't require the use of a scalpel or the need for sutures, because it uses a very selective laser to do the work. Unfortunately, there are millions of adults in this country that have issues with periodontal or gum disease. Not only are dental problems such as receding gums, pain and tooth loss associated with this disease, but it is also linked to heart disease, pancreatic cancer and other serious health problems. Many of those affected do not seek treatment for this problem. Left untreated, it will continue to get worse and cause additional health problems. The LANAP procedure is not considered to be highly invasive because it is laser gum surgery. The use of the laser replaces the use of the scalpel, which is used in traditional methods of gum disease treatment. The PerioLase MVP-7 is an advanced laser that is specifically designed to remove diseased gum tissue and bacteria while leaving healthy tissue and teeth unharmed. Dr. Breiterman guides the laser in the removal of the bacteria and then uses it to help the remaining healthy gums attach to the teeth. The laser is proven to stimulate the bone so that it will begin to regenerate, which makes it stronger and helps hold the teeth in place. Because the healthy gum is not affected, it is less likely to have receding gums after this procedure. In addition, most patients report feeling little, if any, discomfort or pain during the procedure. Most people find that going back to normal activities happens in a relatively short time. This means that excessive time off from work is not needed for this procedure. Adults who have been putting off treatment now have an alternative that allows them to maintain their normal lifestyle with little recovery time needed. More information about LANAP laser gum surgery can be found at http://www.newjerseygumsurgery.com.